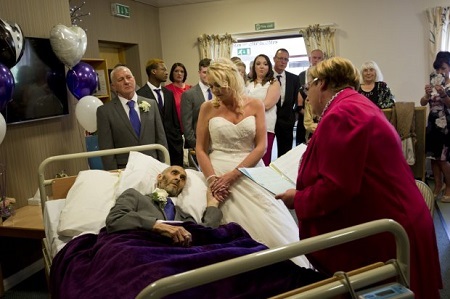 A man who has just days left to live, has gotten married to his woman in a last-minute ceremony which was funded by strangers. A couple who had to abandon their dream wedding after the groom was diagnosed with terminal cancer have been able to get married in a last minute ceremony, Metro UK reports. Ray Kershaw, 63, was hoping to marry 45-year-old Tracy Brooks in Tenerife next year, but had to change their plans when he received his diagnosis in March. 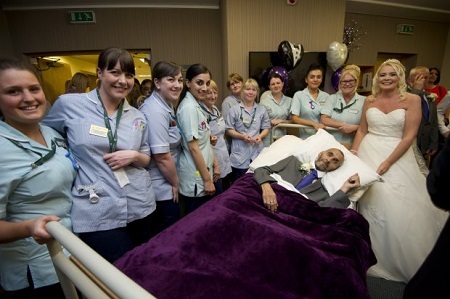 But thanks to the kindness of a number of strangers, the couple were able to get married in a wedding at Springhill Hospice in Rochdale. The entire thing was arranged in less than 24 hours, with the help of charity Gift of a Wedding – but it all went off without a hitch. 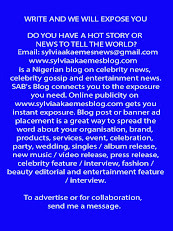 Wedding organisers put out a call for donations for the ceremony, which was originally supposed to take place on June 2. But as Ray’s condition started to deteriorate, the wedding was moved forward to Saturday May 20. Within hours of putting out the appeal, strangers and businesses offered to pay for cars, flowers, venue dressing, a cake, and everything else you’d need for a wedding. Ray and Tracy then tied the knot at a moving ceremony, attended only by close relatives, friends, and nursing staff at the hospice. Melissa King, Tracy’s bridesmaid and niece, said the couple had been overwhelmed by everyone’s generosity. 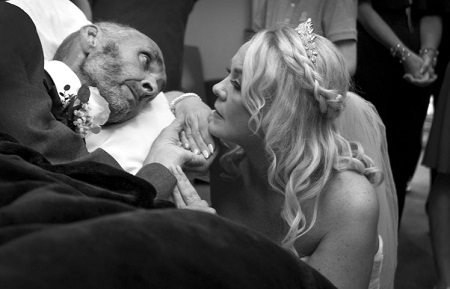 ‘Ray and Tracy knew the cancer was terminal, so all they wanted was to get married,’ she said. ‘What Gift of a Wedding did was incredible. They were up all hours the night before the wedding to make sure it happened.